Find out how to upgrade your qualifications and expand your career options at the upcoming Education Postgraduate Information Evenings. Find out how to upgrade your qualifications and expand your career options at the Education Postgraduate Information Session on 12 September at 6pm. Local students interested in coursework will have the opportunity to make a free direct application (except for the Master of Teaching) on the night or apply through UAC online at a later time. Please read the Education coursework degree admission requirements ahead of attending this event. If you intend to apply on the night, please bring all required supporting documentation. The student centre at UTS Building 10, level 2, will be open from 5.30pm to accept applications on the night of the information evening. Applications for coursework for Autumn 2018 commencement open early September 2017. 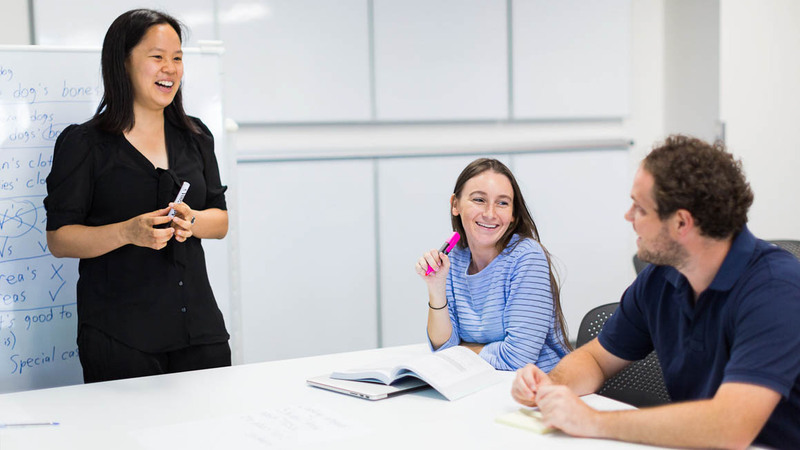 UTS Alumni can take advantage of the Alumni Advantage Program and receive 10% off further study for fee-paying courses. By registering for this event, you will get pre-event reminders but also the latest when it comes to early application closures for popular courses. *Please note: Master of Teaching in Secondary Education applications will only be accepted through UAC. © Copyright UTS - CRICOS Provider No: 00099F - 16 October 2018 11:48 AM. The page is authorised by Deputy Vice-Chancellor and Vice-President (Corporate Services).